Cristiano Ronaldo is said to want to leave Real Madrid and Spain after being accused of tax fraud in the country – that’s according to a Portuguese newspaper which says its story is based on a reliable source. A Bola – that means “ball” in Portuguese – claims the 32-year-old four-times world player of the year has already made up his mind to ask the club for a transfer. 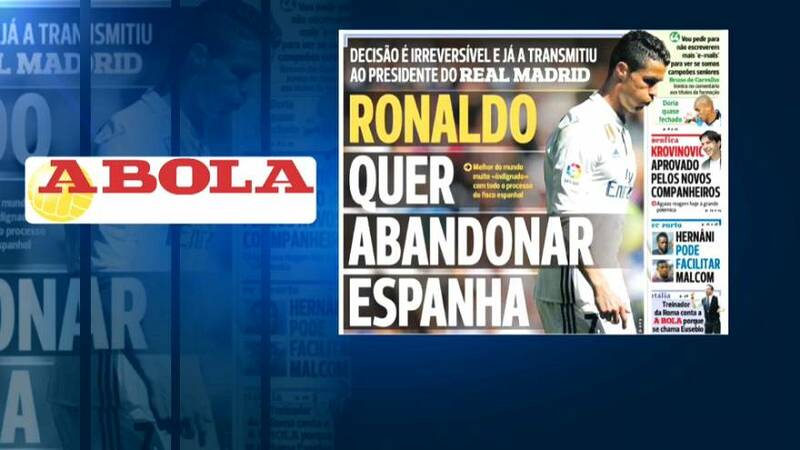 The paper says Ronaldo is “deeply disenchanted” with the allegations against him. Spanish prosecutors have launched legal action against the player accusing him of defrauding the authorities of 14.7 million euros by hiding his image rights income between 2011 and 2014. Ronaldo denies any wrongdoing. The Portuguese international – the country’s all-time leading scorer – has completed eight seasons at Real Madrid and led the club to their 12th European Cup earlier this month, scoring two goals in the final.